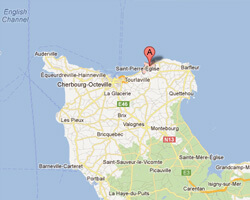 Fermanville is located on the north coast of the Cotentin Peninsula, halfway between Cherbourg and Barfleur. 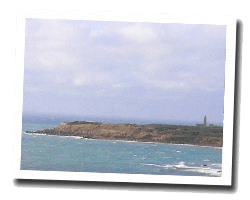 Cape Levi, which closes the Cherbourg harbour to the east, is a particularly interesting attraction with two nice little ports, a lighthouse and a Napoleonic fort where you can admire beautiful views of the coast. At the seaside, Brick Cove is one of the most beautiful beaches in Normandy. In Fermanville enjoy a seaview holiday rental. House 100 m2. Terrace, garden with outdoor furniture, deck chairs and barbecue. View of the sea. 3 Bedroom(s), 3 double bed(s). Final cleaning : 80 €. House 130 m2. Terrace, garden with barbecue. View of the sea. 4 Bedroom(s), 5 double bed(s). Final cleaning : included.